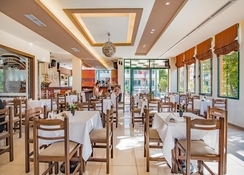 Travelling to Antalya and looking for a smaller hotel that has been known for outstanding hospitality? Try out Oscar Hotel, also known as Oscar boutique Hotel in recent times. 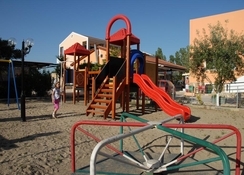 This is a beautiful property that offers half-board and full-board accommodations to travellers looking for a peaceful and memorable holiday in Turkey. 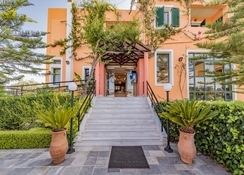 It offers 50 rooms, a garden restaurant, poolside bar, indoor bar, events and activities, and an outdoor pool — but its best feature is proximity to the old town and impeccable services and hospitality. Oscar Hotel offers three categories of rooms: Standard Rooms, Superior Rooms and Maisonette Rooms. Rooms are spacious and beautiful, and offer either twin beds or double bed. Common facilities across the rooms are TV with satellite connection, en suite bathroom, shower, hairdryer, inbuilt safe box, telephone, air conditioning, mini bar and WiFi internet connection. All the rooms are carpeted and offer either poolside view or the streets in the surroundings. Set amidst a large garden, there is an outdoor restaurant that serves breakfast, lunch and dinner in buffet style. The menu offers selected Turkish and international cuisines freshly prepared by the wonderful chefs. Also there is a poolside bar right between the restaurant and the pool that serves all alcoholic and non-alcoholic drinks throughout the day. In the evening, the bar by the reception opens longer and it too serves all alcoholic and other beverages. Don’t miss out the delectable lunch buffet, the hookah and the live kitchen during your stay. 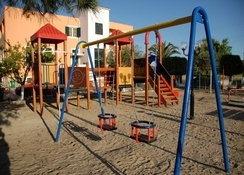 Oscar Hotel houses a swimming pool suitable for both kids and adults. 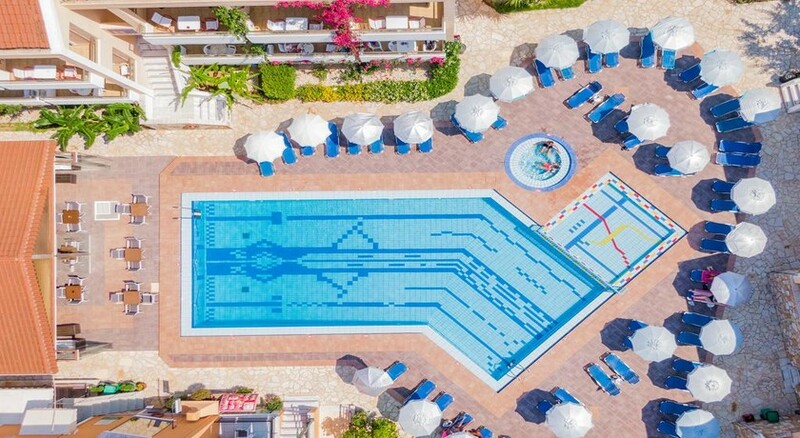 The pool is surrounded by lush green and sunbeds and umbrellas. In the evenings the hotel organises lively events such as belly-dancing and traditional Turkish dance where both guests and staff can participate and have a gala time till late in the night. Other than that Antalya is a shopper’s paradise and a destination for water sports lover. Contact the travel desk to visit places such as Aspendos, Duden Waterfalls, Manavgat Waterfall, Phaselis and Termessos. Oscar Hotel was founded in the year 2000. It was initially known by the name Oscar Boutique Hotel, but after its renovation in 2009, the name was changed to Oscar Hotel. 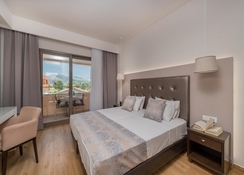 This property is built in the main city centre of Antalya and offers 2 Single Rooms, 6 Triple Rooms, 8 Twin Rooms, 8 Maisonette Rooms, 10 Double Rooms and 18 Superior Rooms. The building is two storeys high and built around a beautiful lush green garden and a large pool. The sea is around 600 metres from the hotel and the old town is about 5 minutes away. The main street is roughly 100 metres from the hotel, where you’ll find the bus stop and other public transportation.